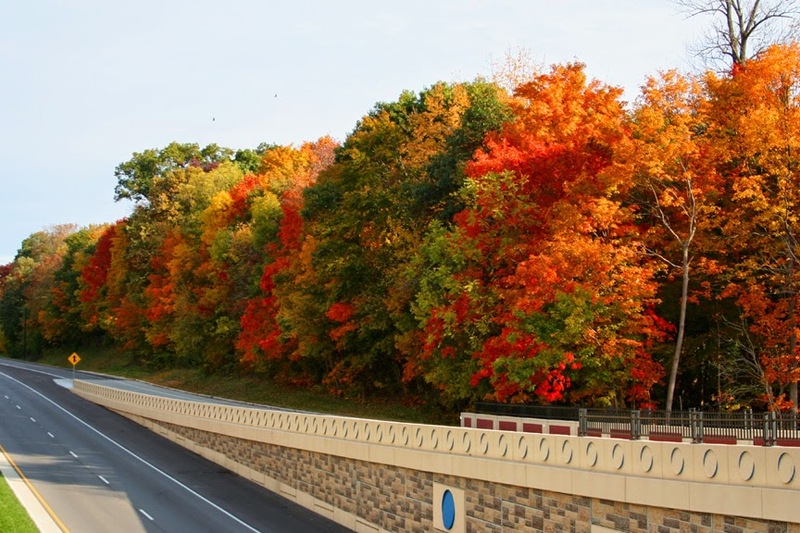 Experts are predicting that leaf-peeping season in the East could come a bit early, making the next week prime time to view fall color in one area of the mid-Atlantic. Weather watchers say that, if the weather cooperates between now and about Oct. 20th, peak color could come a few days early in select areas around the Smoky Mountains, which are home to some 120 species of trees, the greatest variety in the United States. That variety gives the southern Appalachians a broader spectrum than many areas of the east, according to an email sent to TheTravelPro by a publicist for the area surrounding Asheville, North Carolina. That variety contributes to a patchwork quilt of mountainside color, including the popular “red leaves” due to an abundance of red maple, dogwood, and sassafras trees. If the predictions come to pass, that means leaf-peepers planning a trip over the next week will be among the first to glimpse the colors of the Asheville area's extended fall season. Asheville is home to a number of fine hotels, though the most famous are arguably those on the grounds of The Biltmore Estate. The estate, George Vanderbilt’s 250-room French Renaissance chateau, contains over four acres of floor space, including 35 bedrooms, 43 bathrooms, and 65 fireplaces. The estate also features Antler Hill Village, a winery, and numerous options for accommodations. Other accommodations are also available nearby, including the Renassaince Asheville hotel, among many others. Lovers of fall color needn’t feel restricted to that specific area, or any single area for that matter. Some of the most dramatic fall color I’ve experienced has been in Indiana. Leaf lovers needn’t even restrict themselves to staying on land. Numerous cruise lines offer leaf-peeping cruises along the Atlantic coast, though they generally wrap up at the end of October and, at this late date, the choicest cabins are likely already taken. Still, if you’re content with a cabin with an outside view but no outside space, accommodations are available. Cruise lines offering space on leaf-peeping cruises between now and the end of October include Holland America, Princess, American Cruise Lines, Royal Caribbean, Crystal and Norwegian, among others. Consolidators like www.FallFoliageCruises.com offer comprehensive lists of the lines offering sailings and cabins. However, once you’ve identified a sailing or two or three that meet your needs, I recommend working directly with the cruise line rather than going through a third party. Most cruise lines offer deals that are just as appealing as consolidators but with the advantage of not having to go through a middleman.